Britain's foreign minister visited Iran on Saturday to press for the release of British-Iranian woman Nazanin Zaghari-Ratcliffe amid accusations at home that one of his gaffes has seriously harmed her case. Foreign Secretary Boris Johnson held two hours of "frank" talks with his Iranian counterpart Mohammad Javad Zarif, which also touched on the landmark 2015 nuclear deal between Tehran and world powers, the future of which has been thrown into doubt by US President Donald Trump. "They both spoke frankly about the obstacles that remain in the relationship, including the foreign secretary's concerns about the consular cases of British-Iranian nationals," the British Foreign Office said in a statement. 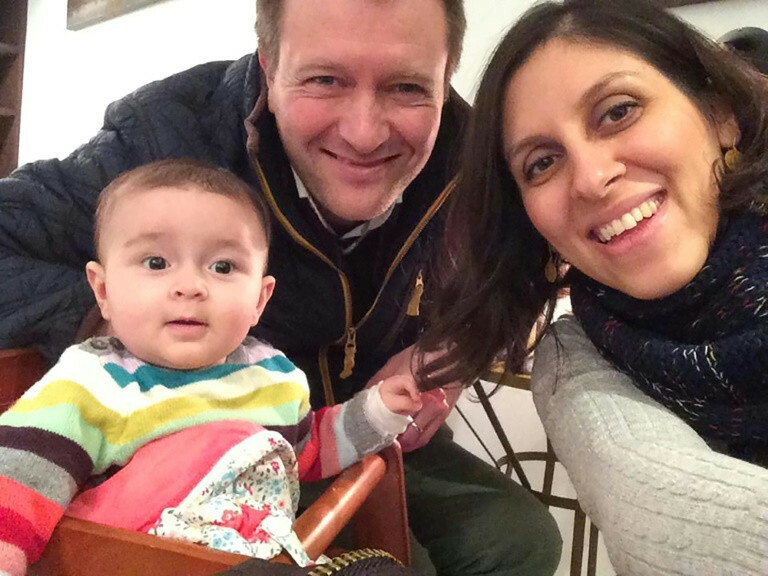 Zaghari-Ratcliffe, a British-Iranian citizen, was arrested at Tehran airport in April 2016 after visiting relatives. She was given five years in prison over her alleged role in mass protests in 2009, which she denies, and will face additional charges in court on Sunday of "spreading propaganda". Husband Richard Ratcliffe, who had lobbied to join Johnson on the visit, says his wife has been used as a pawn in Iran's efforts to extract some 450 million pounds ($600 million) owed to Iran since before the 1979 Islamic revolution. He has raised concerns about his wife's mental health, citing the mounting toll of her prolonged incarceration in Tehran's notorious Evin prison. The case has become highly politicised, especially after a "slip of the tongue" by Johnson last month when he stated that Zaghari-Ratcliffe had been training journalists in Iran, which has been used by the Iranian authorities to help justify the new charges. Johnson also met with parliament speaker Ali Larijani and Ali Shamkhani, secretary of Iran's Supreme National Security Council, who said Britain needed to do more to open trade and banking ties with Iran. "Since the JCPOA (nuclear deal), trade and economic cooperation between the two countries have been unsatisfactory and the facilitation of banking relations can be a start for expanding cooperation in other sectors," Shamkhani said after the meeting, according to official news agency IRNA. Johnson, who is due to meet President Hassan Rouhani on Sunday, did not speak to reporters. Meanwhile, the BBC urged Johnson to raise their complaints about the "harassment and prosecution" of their Persian-language staff living abroad. "While he is in Iran, we urge Boris Johnson to raise the case of BBC Persian staff, who have had a criminal investigation launched against them simply because they work for the BBC," the broadcaster said on Twitter. BBC Persian staff have had their Iranian bank accounts frozen, and complain of threatening phone calls and interrogations of family members in Iran. Johnson is on a three-day trip to the region, stopping in Oman on Friday and moving on to the United Arab Emirates on Sunday. It is the first visit of a foreign secretary to Iran since 2015 when the nuclear deal was signed. It unfolds amid mass protests across the Muslim world over Trump's decision to move the US embassy in Israel to Jerusalem. "While our relationship with Iran has improved significantly since 2011, it is not straightforward and on many issues we will not agree," Johnson said ahead of the trip. Britain severed diplomatic relations in 2011 after protesters stormed its embassy in Tehran in response to sanctions over the nuclear dispute. The embassy was reopened in 2015 and full relations restored last year. 0 Response to "UK foreign minister in Iran to push for Briton's release"